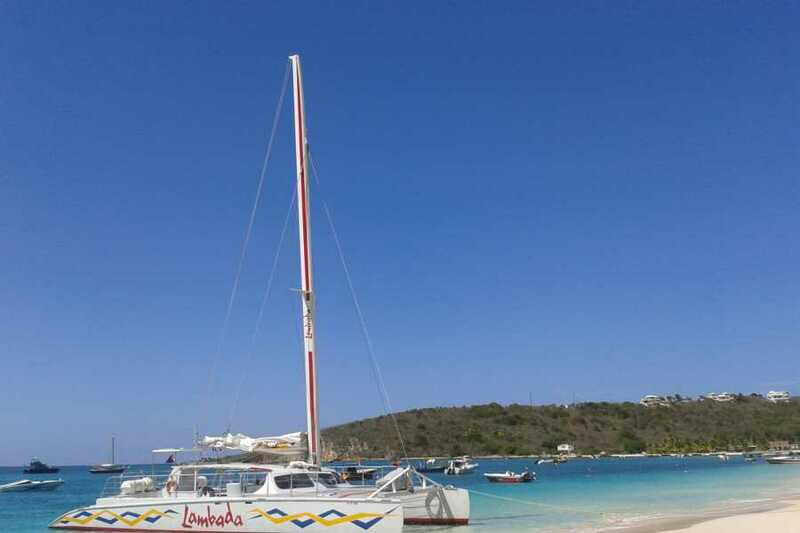 Any trip to St Maarten would not be complete without a daytrip to the gorgeous and unspoiled island of sun and sand - "Anguilla", and her unparalleled sister - "Prickly Pear Cay". 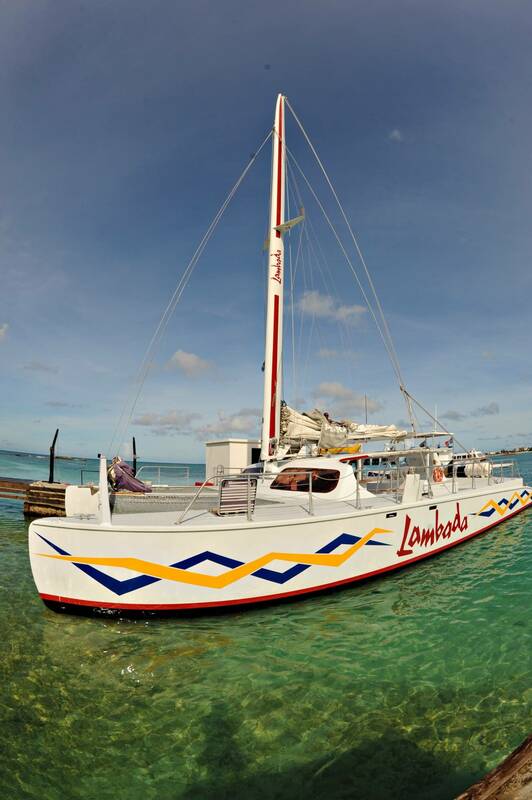 Come sail on Lambada... and spend the day relaxing, partying, swimming, snorkeling and making vacation memories. 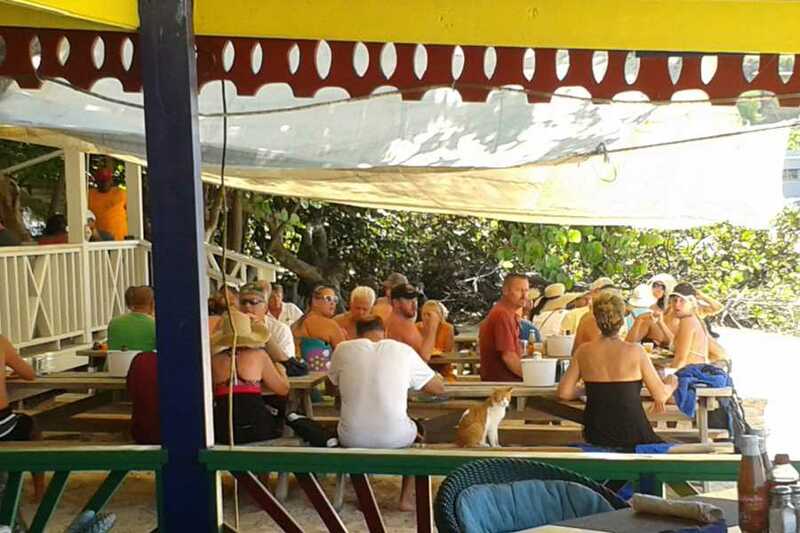 Sail to Prickly Pear for snorkeling and swimming, then head to a beach on Anguilla for lunch (Tuesdays and Thursdays is lunch at Prickly Pear and a beach for the afternoon in Anguilla). 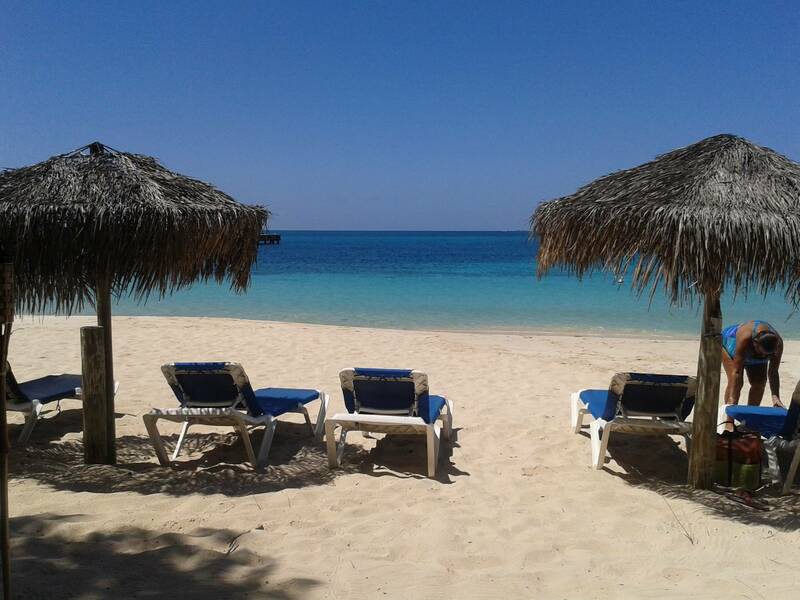 Pristine white sandy beaches and turquoise blue waters will take your breath away. Daytrips are offered on Tuesday, Wednesday Thursday and Friday. 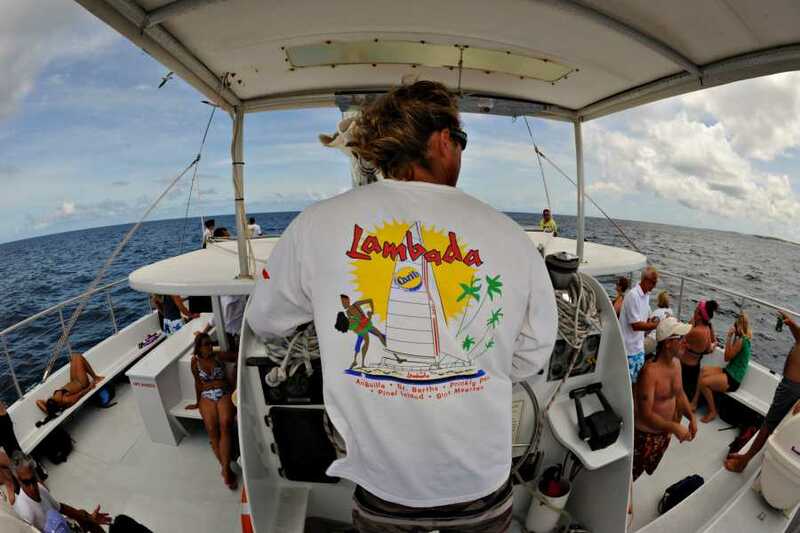 Check in at 8am for a 9am departure out of the Simpson Bay Resort marina. 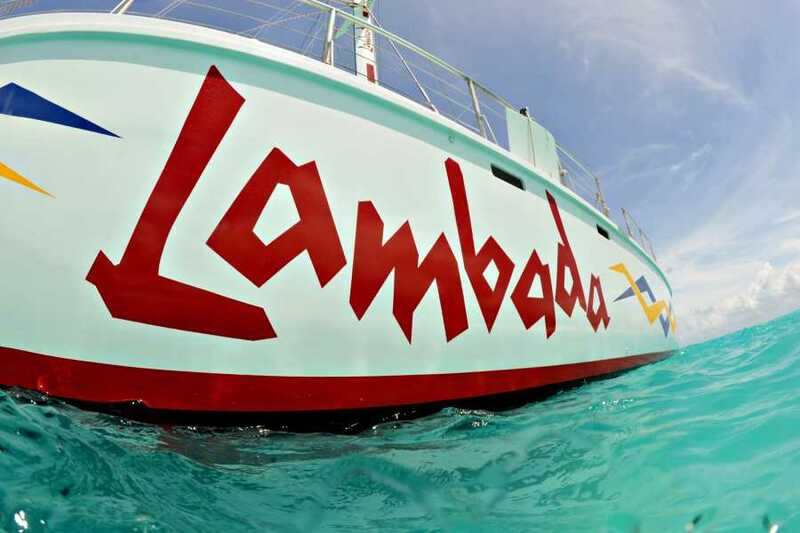 Lambada returns at 4:45pm. 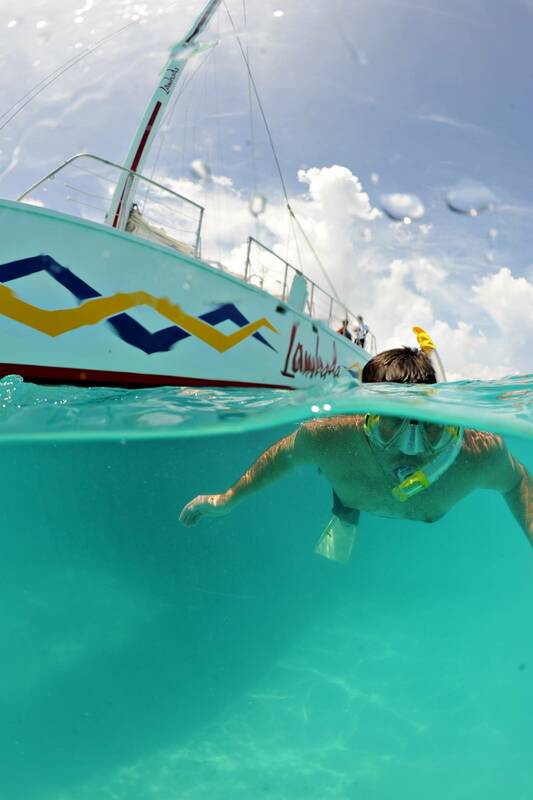 $100 for adults, $50 for children ages 5 to 13 and Infants/toddlers pay port fees only. Port fees are $20 per person. Open bar & snacks onboard, snorkel equipment, float belts and BBQ lunch on the beach. 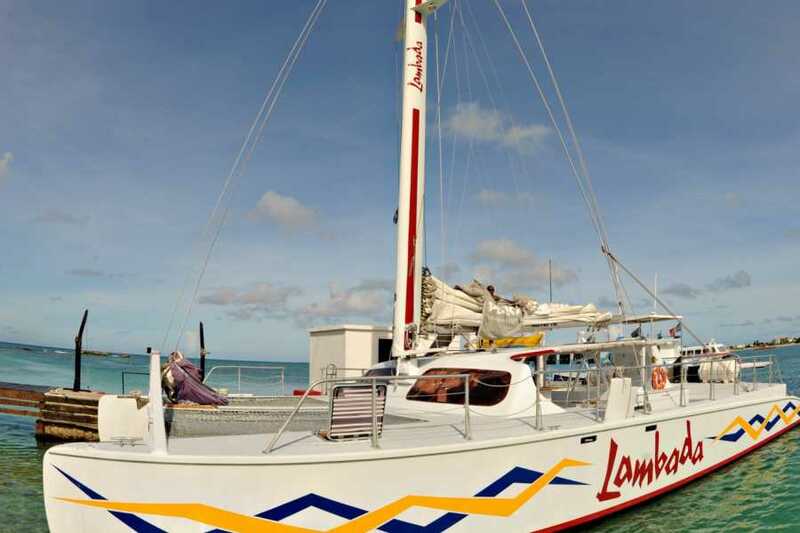 Lambada is a great choice for families with children, couples and party groups. 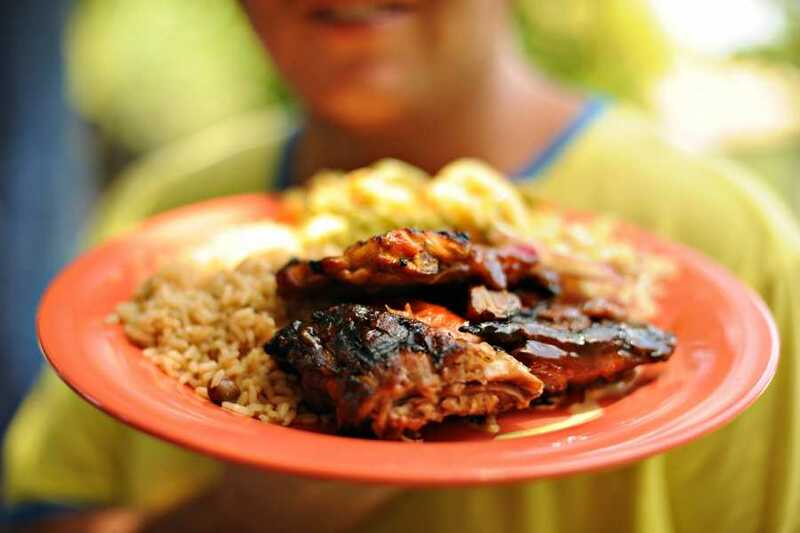 Lunches are a choice of BBQ chicken, fish or ribs with salads and rice and peas. 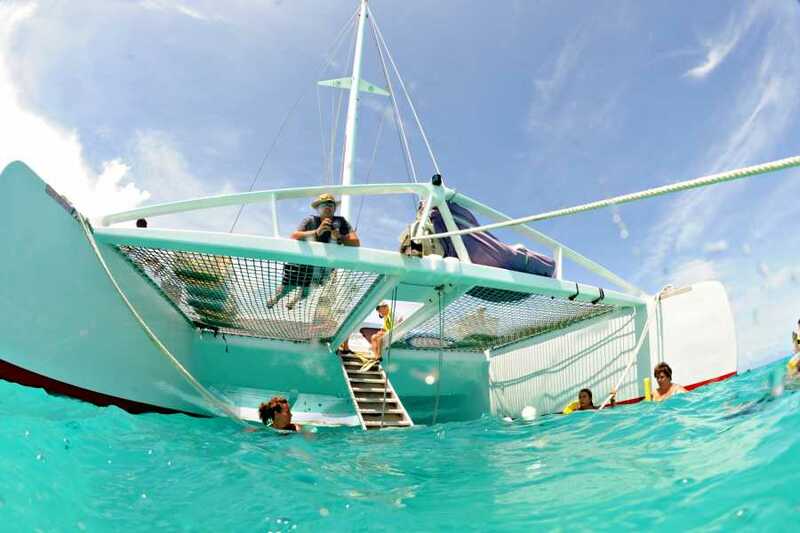 There is a dinghy that transports people to the beach if you do not swim or prefer to be transported with your bag. 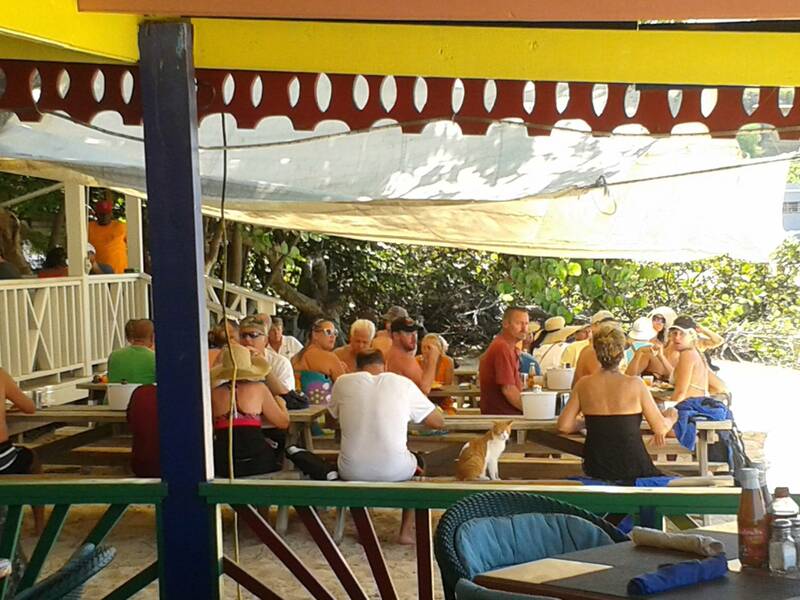 We advise you to bring extra cash along for additional drinks at the restaurant. 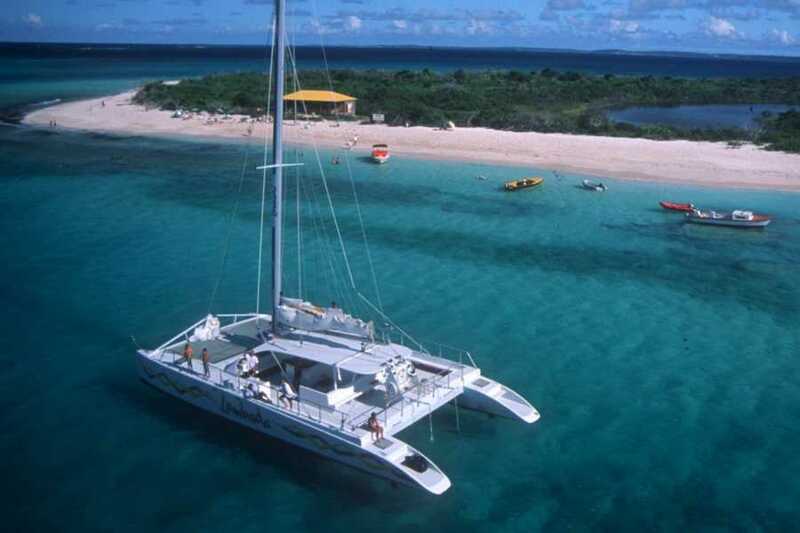 Climbing in and out of dinghies should be possible for you if you wish to enjoy this trip. 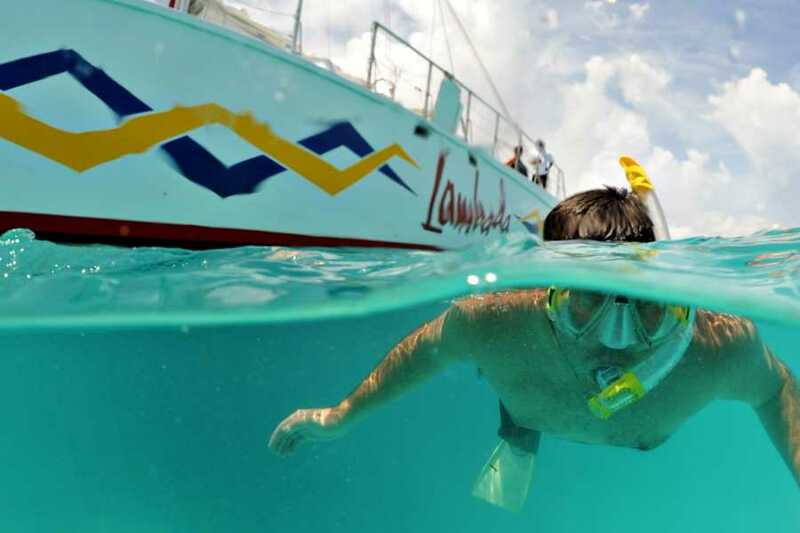 Occasionally weather or high seas may change our intended destination. 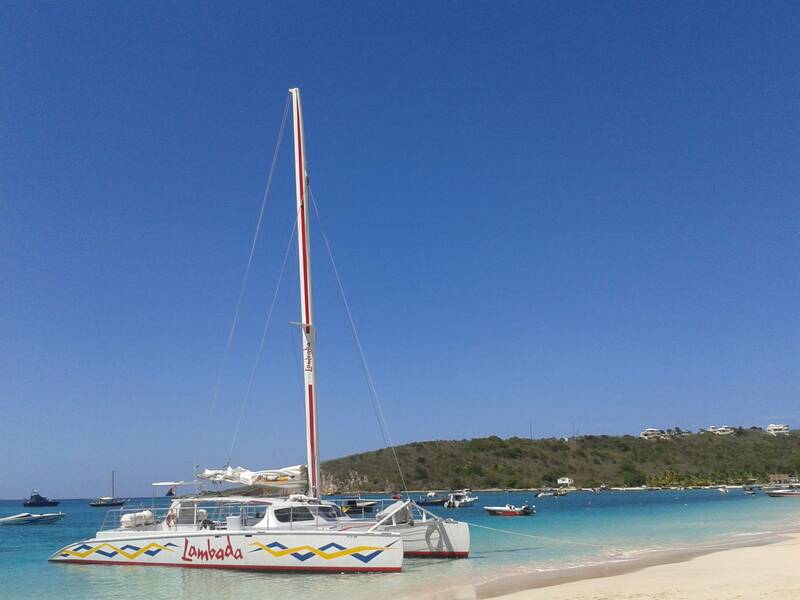 We have many other beautiful places to visit on Anguilla...join us for a fun day out.